In early 2012, northern Mali is occupied by various armed groups who want to secede from the rest of the country and impose Sharia law. In Gao, the historic capital of the north, the resistance against the occupation is organized by groups of young people, who undertake to protect their families and liberate the city. Biofilmography : Kassim Sanogo, 40 y.o. After obtaining a Master 1 in Philosophy at the University (Flash) of Bamako, I have participated in a number of writing residencies and documentary filmmaking workshops with Africadoc. I received my Master 2 in documentary filmmaking at the University Gaston Berger of Saint-Louis (first film, « Ça vibre dans nos têtes« , Zaradoc 2009). In 2012, I participated in the Summer university of FEMIS Film school in Paris. I have a long work experience as a coordinator of the « Collectif Jeunes Talents » of UCECAO-Mali, chaired by Mr. Souleymane Cissé (Couleurs arc-en-ciel CIRTEF 2012). In March 2013, I received the « Coup de pouce » award with honorable mention at the 20th FIGRA Film Festival for the project Rescapés, resistance of a people. In 2015, my documentary film DONKO (Zaradoc, 2013) received a honorable mention at Africlap Film Festival. In 2015, I have enlisted in a fiction-writing course at ESAV Toulouse. 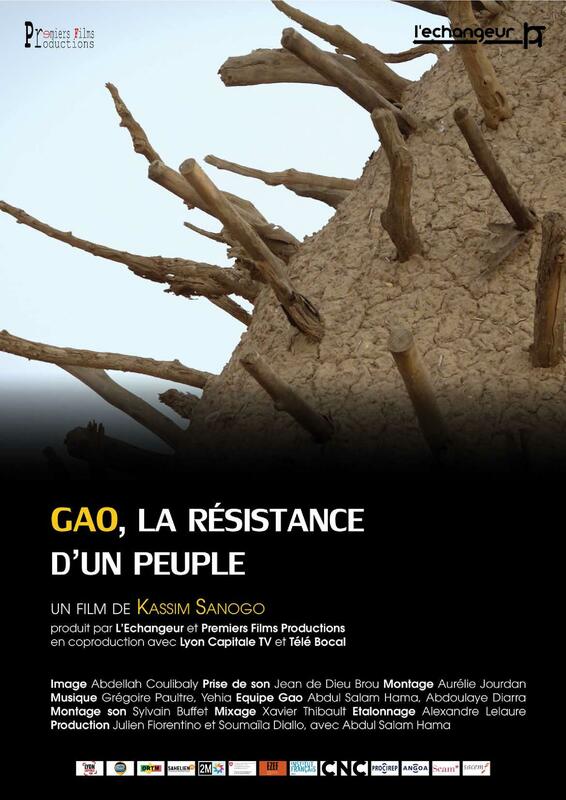 In 2018, I finally achieved GAO, resistance of a people.